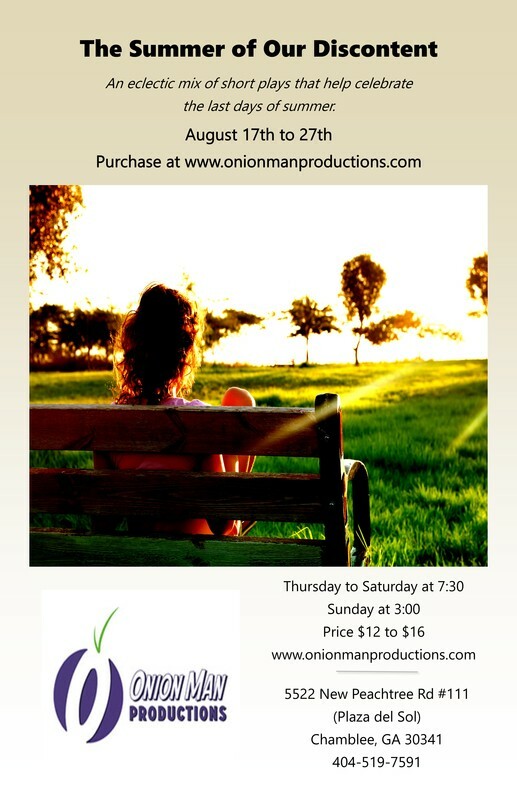 Friday and Saturday at 7:30p.m. A viciously clever comedic-drama about the entanglements of four Londoners over four years. Closer won the New York's Drama Critic's Circle for Best Foreign Play and nominated for a Tony award for Best Play. **For Mature Audiences Only. 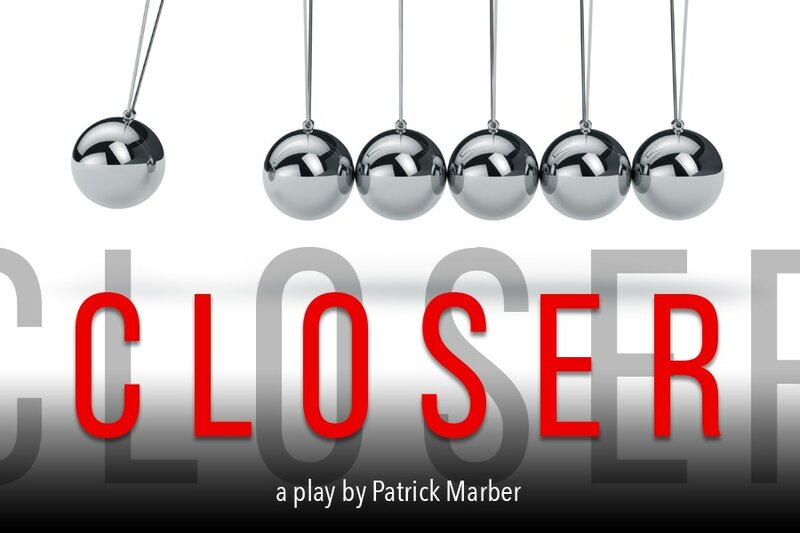 “CLOSER" is presented by special arrangement with Dramatists Play Service, Inc., New York. The Pied Piper has arrived at the town of Hamelin just in time for its annual Pie Festival, only to discover that the town is infested with rats! The Mayor hires him to solve the problem. But what will happen when the Mayor doesn't want to pay the Piper? This play contains music and audience participation. Friday, Saturday at 7:30 p.m. Staged Readings of female playwrights for the nationwide festival. 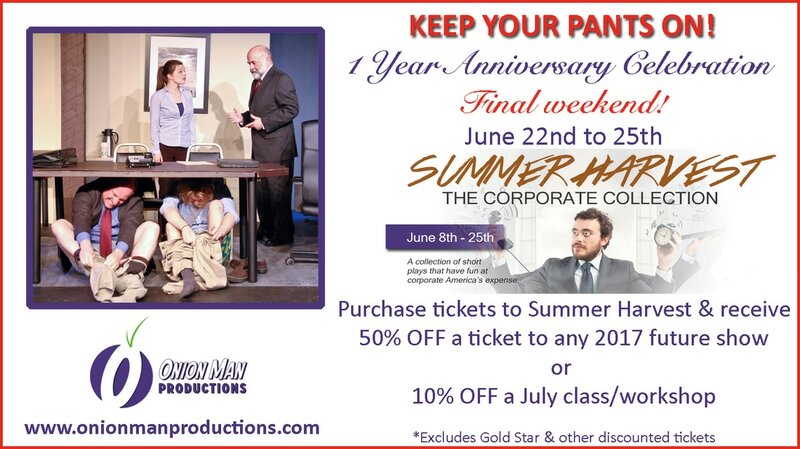 ​Two very funny 10-minute plays plus sketch comedy and improv. Thursday - Saturday at 7:30 p.m.
We are sorry to announce The Daisy Princess has been cancelled due to unforeseen circumstances. Byron and Ames are old friends, re-united by mutual desperation. Over whiskey on a hot summer’s night, they sit, reflect and bicker until fifty years of love, friendship and rivalry are put to the test at the barrel of a gun. 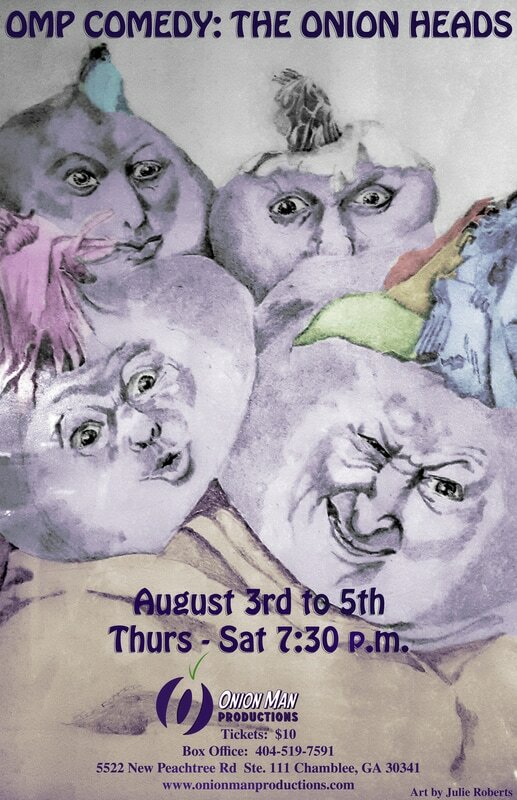 Ages of the Moon is presented by special arrangement with Dramatists Play Service, Inc., New York. All tickets sales go to lower OMP's fundraising goal. Donations appreciated even if you can't make it to the show! An eclectic collection of short pieces all referencing someone's discontent. 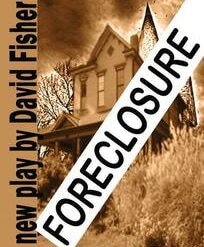 By Atlanta Playwrights, Nick Boretz, Shemetra Carter-Fair.David Allan Dodson, David Fisher, Kate Guyton, Daphne Mintz, and Marki Shaloe. Directed by, James Beck, Nick Boretz, David Allan Dodson, David Fisher, Daniel Guyton with Kate Guyton, Scott King, Linda Place, Scott Rousseau and Starshine Stansfield.